•	Sephora carries the best brands in makeup, skincare, fragrance, and hair care. With over 13,000 products and 500 brands, Sephora is the leading prestige beauty retailer. •	From classic brands like Clinique, Dior and Philosophy to hard-to-find brands like MAKE UP FOR EVER and Fresh, you have easy access to over 13,000 products and more than 200 brands. 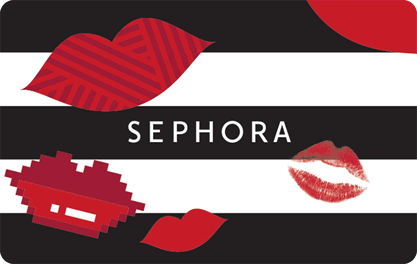 •	Card is redeemable for merchandise sold at Sephora stores, on online, or at Sephora inside JCPenney stores.